Yes, I know the Shoalhaven Coast Winter Wine Festival was cancelled this year. Don’t despair! South Coast Journeys has a number of options for you and the crew to enjoy great wine, awesome gourmet fresh food (including local produce and cheese platters) and live music at the vineyards this June long weekend (Sat 9th – Sun 10th). Crooked River Wines have been given approval to run their own festival over the June long weekend, where you will be able to enjoy their range of sparkling, reds, whites and Uncle Joe’s Brew on tap, with outdoor casual gourmet eats available from vendors. Think wood fire pizzas, pulled meat burgers, gourmet salads and desserts, among other delights. They will also have lots of local music talent playing LIVE MUSIC. Entry fee is $15 and includes a souvenir tasting glass, which will of course be filled on arrival. (see https://www.facebook.com/events/750121178515065/ for more details). 1) South Coast Winter Wine Festival JOURNEYS $100 per person. • Pick up and drop offs between Wollongong, Albion Park, Kiama, Gerringong and Berry. Times and locations will be confirmed pending size of your groups booking. • Wine tastings and local produce / cheese platter at Two Figs Winery. • Wine tastings and local produce / cheese platter at Silo’s Estate. 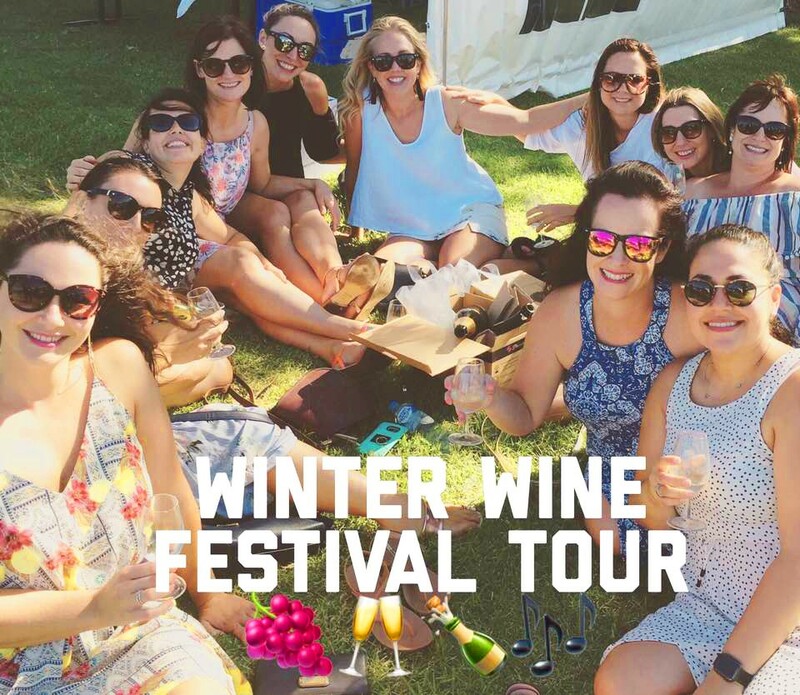 • Entry into Crooked River Wines Winter Wine Festival is included in the price. The majority of the time will be spent here. Where you will be able to enjoy their range of sparkling, reds, whites and Uncle Joe’s Brew on tap, with outdoor casual gourmet eats, available from vendors. They will also have lots of local music talent playing LIVE MUSIC. • Includes a souvenir tasting glass, which will of course be filled with your favorite Crooked River Wines drops on arrival. • Charismatic, knowledgeable and experienced driver / guide / owner of South Coast JOURNEYS, a cool playlist of tunes for the JOURNEY, car fridge on the bus and FREE Wi-Fi. • Please note Lunch is NOT included in the price. While we usually provide lunch on our standard winery tours, due to the fluid nature of the festival and to provide our customers with best value, South Coast JOURNEYS decided allowing our guests to purchase their own food was the best way to provide a cost effective tour, with great food options. Book a private charter if you want to include a gourmet lunch experience. • This tour is limited to 24 people so get in quick! Let South Coast JOURNEYS organise a Private Winery Tour for your group. We can organise a tour that includes 3 wine tasting experiences, cheese / local produce platters and a gourmet lunch, with a complimentary wine or beer. Please note this will need to be booked by 25/05/18 to ensure availability of wineries. Due to high demand, alternate venues including smaller boutique wineries may need to be incorporated on this itinerary.